Throughout most of the book, I thought the story was enjoyable but not as incredible as Anne of Green Gables. It was fun to read about the mistakes Anne makes. Even though she has good intentions, Anne can’t seem to avoid trouble. The twins, Dora and Davy, are complete opposites of each other. Davy is a handful while Dora is a complete angel. However, Marilla and Anne secretly prefer Davy to his sister. I agree with their preference. Dora is way too perfect. I was more like Davy as a child, so I enjoyed his character a lot more. On countless occasions, Anne and the other citizens of Avonlea learn that it is not wise to judge a book by its cover. Characters that seem unpleasant have a pleasant side. Avonlea folks can be nosy and judgmental without fully understanding the people they are judging. There is more to a person that meets the eye. I enjoyed “seeing” Anne mature into a woman. The end of the story, though, was incredible. Throughout most of the book, I thought I’d give the book four stars but the last three chapters were so amazing that I had to give it five stars. The characters are at once empowered and challenged by their imaginations. There is so much emotion and depth in the last chapters of the book. Like Anne, I too am at a turning point in my life. Anne learns to accept the changes around her and learns from her experiences. This is another great character study. I never thought I would like Anne of Green Gables. For many girls, this novel was a childhood favorite, but commercials for film adaptations repulsed me. I assumed that Anne would be another stereotypical, saccharine orphan so frequently depicted in children’s literature. I was so wrong. Anne arrives at the Cuthbert’s Green Gables on Prince Edward Island with an outrageous imagination that seems to always land her into trouble. Rachel Lynde, the village busybody, and Mrs. Barry, a friend of Marilla Cuthbert, find Anne’s character offensive. Such a loudmouthed, talkative girl has no business in Avonlea. But, Anne of Green Gables is not another novel about an orphan girl. This is a character study. This is a coming-of-age novel. While it is true that Anne comes to have a positive impact on the people she meets, Anne is not flawless. Unlike many children’s books where the characters are more like caricatures, characters in Anne of Green Gables are multi-dimensional. Only such characters have the potential to grow as individuals. Caricatures cannot. 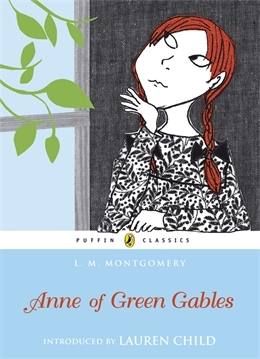 To all my readers: If you enjoyed Anne of Green Gables as a child, what did you like the most? If you read it again as an adult, did anything change in your understanding/appreciation of the novel?